Ukrainian government knows an endless lot of reasons for leaving IDPs without pensions, doesn't it? Об’єднання українських аналітиків, метою якого є відновлення державного суверенітету на тимчасово окупованих територіях Донецької та Луганської областей. The situation is absurd. There is a vivid example when they terminated paying pension to Igor Kozlovsky, religious scholar, when he, being an IDP, went abroad. There is hope that the Ukrainian Parliament has understood that the situation is absurd, and its echo was heard in the Cabinet of Ministers too. The situation had become a resonant one long before the case when the Pension Fund terminated for two months paying pension to the person who was in DPR's captivity. The resonance arose not today. This blatant violation of the rights of hundreds of thousands of people has lasted for more than two years. 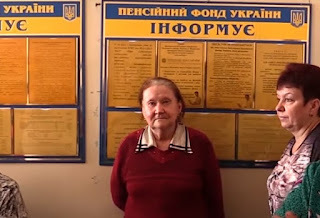 According to Donbas-SOS coordinator Olga Gvozdiova, about 600 thousand IDPs do not get their pensions. Among them there are people who did not go abroad and did not cross the demarcation line. However, they suffered because the payment of pensions was terminated for them. The call of Verkhovna Rada vice-speaker Iryna Herashchenko to reconsider the verification process of pension payment to IDP gives hope that people's deputies will consider the respective draft laws. For example, draft law #6692 envisages paying pensions not only to IDPs, but also to residents of the uncontrolled area who do not have this status. However, draft laws have been awaiting consideration for more than a year; still they are not noticed in Verkhovna Rada and have not been submitted for consideration. Verkhovna Rada of Ukraine blocks the consideration of the issue which would significantly alleviate the humanitarian situation for this category of Ukrainian citizens. There is a blatant gap between the words and the deeds of the state leaders who promise to solve the problem; still, in fact, the problem remains. It is very important to get the answer who blocks the consideration of the problem,” as it was claimed by Hrygory Nemyria, Verkhovna Rada Human Rights Committee Chairperson, this April. The Donetsk scholar's problem was solved during one day, a bit later when it became known. The Pension Fund informed on June 22 that the pension payment to Ihor Kozlovsky was resumed. He was deprived of the pension because he went abroad. The scholar visited several countries where he as a witness of the military conflict in the Donbas met with journalists and politicians. Kozlovsky has mentioned in MM that he has been traveling a lot and meeting with people. He was in the Czech Republic where he met with President Milos Zeman; he visited London with Iryna Herashchenko where he spoke in the British Parliament. He also says that he is planning to go abroad on business, and that fact may cause problems again. However, going abroad for a brief time cannot be the reason for a Ukrainian pensioner-IDP to be deprived of his pension. That was said to News of Donbas by Olga Antoshkina, Charity Fund Vostok-SOS lawyer. “In that situation, termination of pension payment was absolutely illegal. The Pension Fund should not have done that”, says she. She notes that in all cases when state bodies terminate payments, they refer to ministerial decree #365. When lawyers receive such substantiation, they, as a rule, go to court and appeal against the decision as it is illegal and is against Article 49 of the Act on Compulsory State Pension Insurance. In fact, one of the reasons for pension payment termination is going abroad, but going abroad for good. In that case, retired people get the pension for six months in advance. 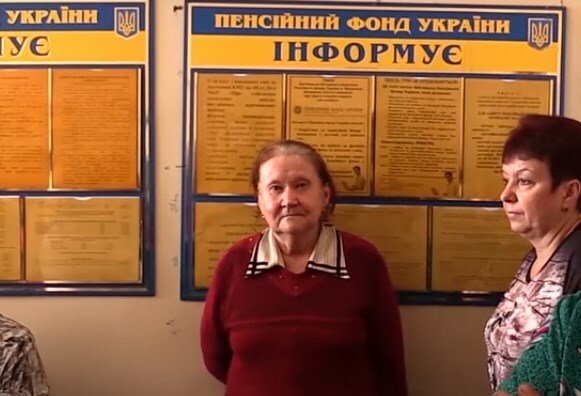 Ukrainian pensioners may also get pensions in 21 countries on the basis of the agreement between Ukraine and the country the retired person is leaving for. Olga Anoshkina says that Igor Kozlovsky's case is exceptional. Terminations may be connected with “Ukrainian Security Service's lists”, absence of the person at the place of living, visiting the uncontrolled territory and staying there for more than 60 days, etc. More widespread cases are the ones when pension payment termination happens without any reason. It should be noted that the EU pays special attention to the situation with human rights in Ukraine and observes the fulfillment, to be exact, non-fulfillment of its recommendation to pay pensions to all Donbas residents without let or hindrance. Prime Minister Volodymyr Hroisman, speaking about the verification, said that some special procedure is necessary as, “unfortunately, the territory is temporarily occupied”. “We will analyze this particular situation [with Kozlovsky] and determine what should be perfected,” the Prime Minister added. However, the words do not express any political will which is necessary for Ukraine to stop damaging itself at the international level. There is a risk that in future the state will have to pay considerable fines by decisions of the European Court of Human Rights if Ukrainian citizens appeal to it. The Ukrainian government should know that more than 60% of Ukrainians think that paying pensions to residents of the uncontrolled territory of the Donbas is an acceptable step on the way to long-awaited peace. The research of the Kalmius Group shows that 24.6% and 37.7% of respondents are “rather for” and “completely for” paying pensions to the residents of the uncontrolled territory of the Donbas. The survey was conducted on the phone by GFK-Ukraine company from April 14 to May 2, 2018. The sample was 1975 respondents, with 536 out of them being from the Donbas. The survey demonstrated that 13% of respondents were categorically against pension payment to residents of the uncontrolled part of the Donbas, “rather no than yes” - 19%, and did not know the answer — 5.4%. It means that residents of “big Ukraine” understand residents of the uncontrolled Donbas better than politicians may imagine. Politicians should take Ukrainians' opinion into consideration not only because they understand the problems experienced by Donbas retired people, but because respect of their rights will help a lot in process of the region reintegration in the future. Реинтеграция Донбасса: Какие из партий «за»? Украина вступает в предвыборную гонку. Уже через несколько месяцев начнется президентская, а затем парламентская кампания. Аналитическое объединение «Кальмиусская группа» 6 сентября презентовало результаты третьей волны исследования под названием «Государственная информационная политика в условиях российской агрессии: региональный аспект». У середу, 4 липня, об’єднання аналітиків та журналістів «Кальміуська група» презентувала нове дослідження «Як Україні утримати лідерство у Мінському процесі», яке засновано на результатах соціологічного опитування українців. Дослідження проводилось з 14 квітня по 2 травня 2018 року з питань реінтеграції Донбасу.